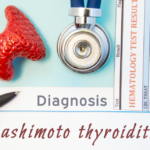 This is the third post in a series about women and Hashimoto’s thyroid disease. Please start with the first post, or read the last post. I wrote in previous posts that conventional medicine treats Hashimoto’s disease with thyroid hormone replacement, and surgical removal of nodules if necessary. It’s a matter of waiting for your thyroid to slowly self-destruct, and then to be on thyroid hormone replacement forever. In a Functional Medicine approach, we dig into all the potential triggers of your autoimmunity, described in the previous post. We also address stress and HPA (adrenal) function. Once all of these factors are in order, many women can halt the progression of Hashimoto’s autoimmune disease, or go into remission. This post is about how to regulate your immune system, in order to keep Hashimoto’s disease in check. Regulating your immune system in Hashimoto’s disease is similar to other autoimmune diseases. When autoimmunity is active, there are common inflammatory processes that take place throughout your body. The following contains a bit of geeky technical information about key inflammatory pathways that are revved up in Hashimoto’s disease. If this level of detail is not interesting, skip to the Functional Medicine approach parts. The NFkB (Nuclear Factor Kappa Beta) pathway. Simply put, NFkB is a protein that acts as a switch to turn inflammation on and off in the body. 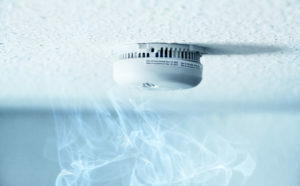 Scientists describe NFkB as a “smoke sensor” that detects dangerous threats like free radicals and infectious agents. In response to these threats, NFkB “turns on” the genes that produce inflammation. NFkB is activated by bacteria, viruses, physical stress, oxidative stress, environmental chemicals, heavy exercise, alcohol, low vitamin D, obesity, circadian rhythm disruption, smoking, endotoxins, and more. Inflammatory molecules called cytokines also activate NFkB. This is a normal process, however when this pathway is chronically active, it can lead to autoimmunity. In a way, NFkB is one of the master controllers of inflammation, because it turns on other inflammatory molecules, including cytokines and tumor necrosis factor. It’s a vicious cycle because inflammatory cytokines turn on NFkB, and vice versa. The inflammatory cytokines in Hashimoto’s disease target and damage your thyroid follicular cells. How do you do this? There are many ways to inhibit this pathway. • Supplements include alpha-lipoic-acid, allicin, curcumin, DHEA, pregnenolone, butyrate, boswellia, quercitin, NAC, milk thistle, black cumin seed oil, fish oil, and resveratrol. This list is not all-inclusive. My favorite is a combination of Tumero™, Resvero™, and Boswellia AKBA, dosed according to whether or not you are in remission. Curcumin is fantastic, however most types are poorly absorbed. • Many foods inhibit NFkB, including most fruits, vegetables, and herbs. Cruciferous vegetables, garlic, blueberries, flax, and sesame are high on the list. • Lifestyle factors include exercise, ketogenic and Mediterranean diets, meditation, and yoga. • Low vitamin D turns on NfKB, so you need sufficient vitamin D.
• Probiotics down-regulate NfKB. Also, taking prebiotic fibers is a great way to grow beneficial probiotic strains. Good ones are Fibermend™ and Galactoimmune®. Th1 and Th17 produce the inflammatory molecules interferon (IFN)-gamma, and IL-17A, respectively. In Hashimoto’s autoimmune disease, Th1 and Th17 are usually high, and more so in acute cases. Hashimoto’s is known to be a Th1 dominant autoimmune disease. Th17 also causes neurological inflammation. How do you bring Th1 and Th17 down? Upregulating Treg cells! Treg cells bring down Th1 and Th17. Regulatory T (Treg) cells are essential to prevent autoimmune diseases and limit chronic inflammatory diseases. You want to increase Treg cells! How do you do increase Treg? First and foremost, deal with factors that exacerbate the inflammatory / autoimmune response. This can be any of the triggers in the last post. It is usually co-infections in the gut, and /or stress! 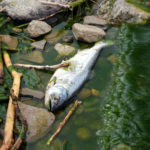 With gut testing and infections, get help. This is a complex project. With stress, work on releasing past stressors with effective therapy, such as EMDR, Mindfulness-Based Therapy, or Cognitive Behavior Therapy. Reduce your stress response, and regulate your HPA (adrenal-brain) axis. The Dutch Adrenal test is highly valuable to assess your HPA axis. Emotional stress directly, immediately, increases inflammatory Th17. Reduce stress by changing your perception of stress, through training. This directly increases Treg cells and lowers Th17. 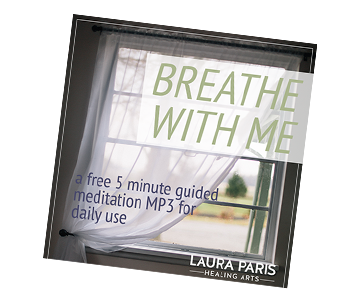 Meditation, biofeedback, and acupuncture work (see 1, 2, and 3 here). Get sleep in order, as circadian rhythm disruption can increase Th17. There is also evidence that avoiding gluten can increase Treg. Sun exposure increases Treg. This could explain why people who live further from the equator are more likely to get autoimmune diseases. 1. Vitamin A deficiency (common in vegetarians) can cause Treg imbalance, with excess Th1 cells. A safe dose of vitamin D is 4000 IU, which elevates 25-(OH)-D3 levels to desired concentrations in most women. However, dosing up to 8,000 IUs daily is a better target for acute flares. You need to monitor your blood levels regularly! 2. 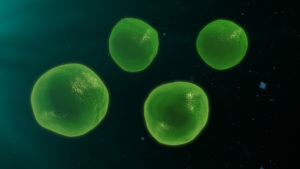 Vitamins A and D are tightly connected to regulate immunity, since their signaling receptors are interconnected. Therefore, I recommend this Vitamin D3 with A, E, and K, or this Vitamin D3 with A. 3. Omega-3 rich fish oil (specifically DHA) also increases Treg, I prefer Super EPA, although there are other good brands. It’s essential to get a good brand of fish oil. 4. Most tolerated probiotics increase Treg. Be careful with Kombucha, because there are no human studies on it, and it can have side effects and risks in autoimmunity. I prefer to use specific probiotic strains with clinical research. For that reason, I like to find out more about your gut microbiome health before recommending a product. 5. Glutathione upregulates Treg. Glutathione is poorly absorbed. I recommend liposomal liquid. • For gut, test for infections (fungal, bacterial, parasitic) and food intolerances. Shore up your gut lining, and reduce gut inflammation. • For stress, test your HPA axis and circadian rhythm with the Dutch Adrenal Test, and treat if necessary. You’ll discover if your cortisol is high, low, or disrupted. You will also find out if your circadian rhythm is disrupted. If you feel stressed or anxious, you may be juggling too much. 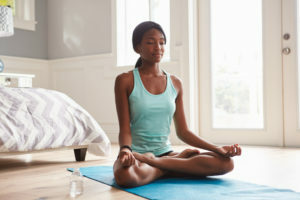 Choose meditation or biofeedback to train your stress response, and get acupuncture if you can. 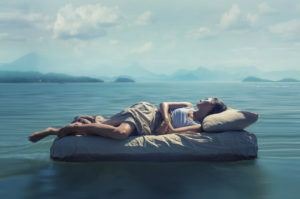 Make sure your sleep is in order (8 hours of quality sleep per night). Get help if it’s not. 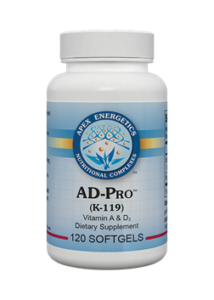 • Vitamin D3 Complete or AD-Pro™, (1 or 2 per day, based on vitamin D labs. Both of these include vitamin A. With autoimmunity, vitamin D should be at least 40 on labs, and preferably 60-80). • Fish Oil, 2 gel caps twice daily. • Tumero™ and Resvero™; and Boswellia with joint inflammation. 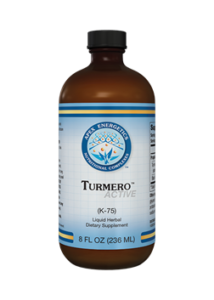 (5 ml or 1 tsp of Tumero™ and Resvero™ three times daily. Work your way up to this dose. (Boswellia acute dose is 2 capsules three times daily). • MegaSporeBiotic: dosage is 2 capsules at the same time, this is a SOIL BASED probiotic. • Shore up gut lining with Enteromend®, Butyrate, and/or Phosphytidalcholine. • Liposomal glutathione, work your way up to 4 pumps three times daily when acute. * The Functional Medicine approaches are suggestions, they are not all-inclusive. please ask questions, give feedback below! Get Help With Your Thyroid Now! Nicely broken down. And not too geeky, if you’ve studied much about the thyroid. Thank you! thanks for stopping by Matt! Hi,I was wondering,is it safe to boost your imune sistem if you have Hashimoto? I love the breakdown of the immune cells, triggers and inflammation. All of those triggers mentioned that cause inflammation, cause internal tremors for me (like a vibrating cell phone). I have Hashimotos but normal T3/T4 for now. Can you tell me what might help to reduce the tremor? Not sure Robin, without more of a workup. Tremors can have a lot of factors.